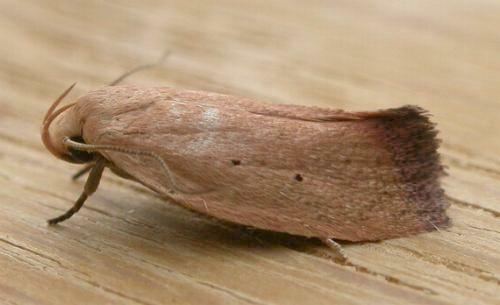 The adult moth has brown forewings. The wingspan is about 2 cms. CSIRO Publishing, Melbourne 1994, pp. 24, 26, 252-256, 258. Volume 7, Part 4 (1883), pp. 457-458.